In this solo dining adventure, Gary has an excellent, if unconventional, dim sum experience at Boston’s Myers + Chang. 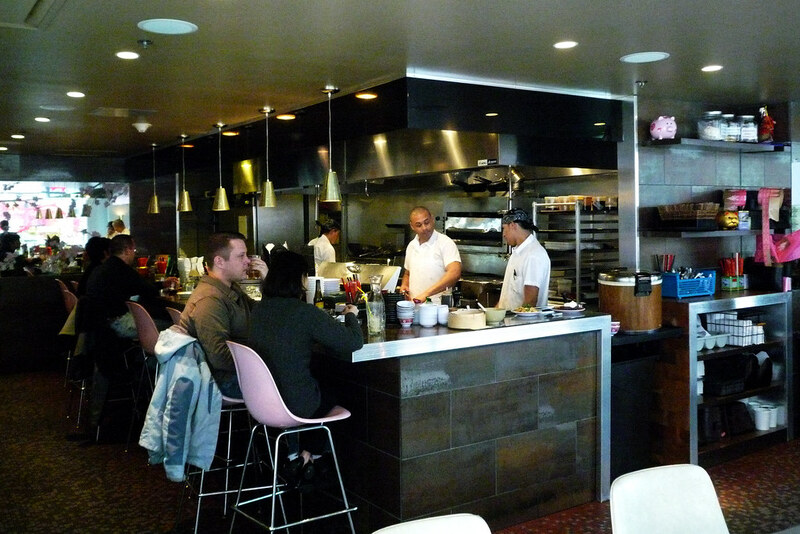 Fair warning before we start – this wasn’t your typical dim sum so this won’t be the typical Foodie Call dim sum post. In fact, this is gonna be somewhere between the usual photo gallery post and a regular review. It’s still tough for me to do a real full review because this is still dim sum after all but it’s different enough to merit more than just a short paragraph. Any, off we go! The first time I’d heard of Joanne Chang was when she beat up on Bobby Flay in their sticky bun throwdown a few years back. It was the first time I found myself actively rooting for someone to beat Flay rather than him just losing. And why not? She’s an Asian who left a white-collar career, management consultant in this case, for something that she truly had a passion for – professional cooking. I won’t pretend to know what familial expectations were placed upon her but I can still applaud the 180° she took, even after graduating from Harvard with a degree in Applied Mathematics and Economics (that sounds like fun, by the way). But I knew her primarily as someone who’d made their reputation as a baker. How would that translate to her full restaurant, Myers + Chang? Well, if the”dim sum” is any indication, then the success and quality built at Flour has made the transition, all safe and sound. Yes, this isn’t the typical dim sum, which is why I put that in quotes in the previous paragraph. I hesitate to even use the term to describe what this particular meal service. I’d rather prefer to use “Asian tapas” to describe it because that’s really what this is – Asian-inspired and influenced small plates, some which may resemble more traditional dim sum fare but most do not. Take, for example, the lemongrass mussels pictured above – totally tapas, most definitely not dim sum. Sure, I’ve seen clams served at restaurants during dim sum service but they most definitely wouldn’t have lemongrass in it. But, this isn’t a knock at all. 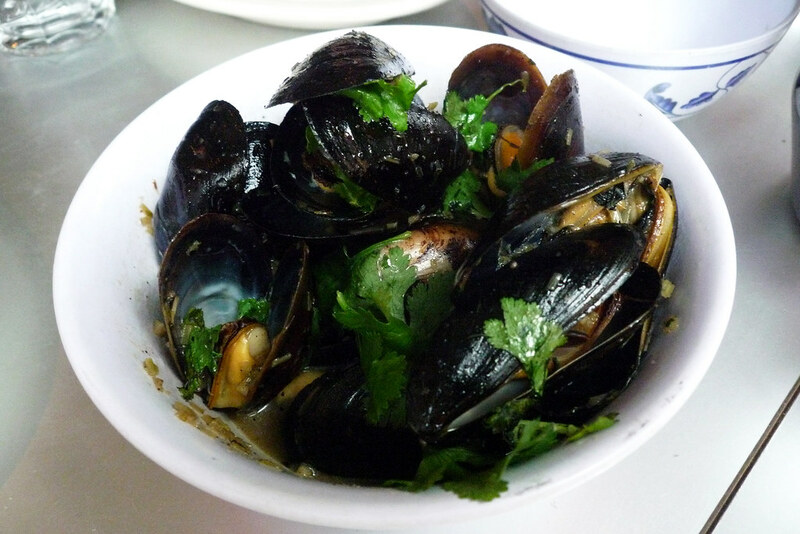 The mussels greatly benefit from the rich lemongrass broth they’re served in and the wok roasting adds an added dimension to the mussels – it tastes like they’re burnt but in that good, flavorful way. Oh, the dan dan noodles? 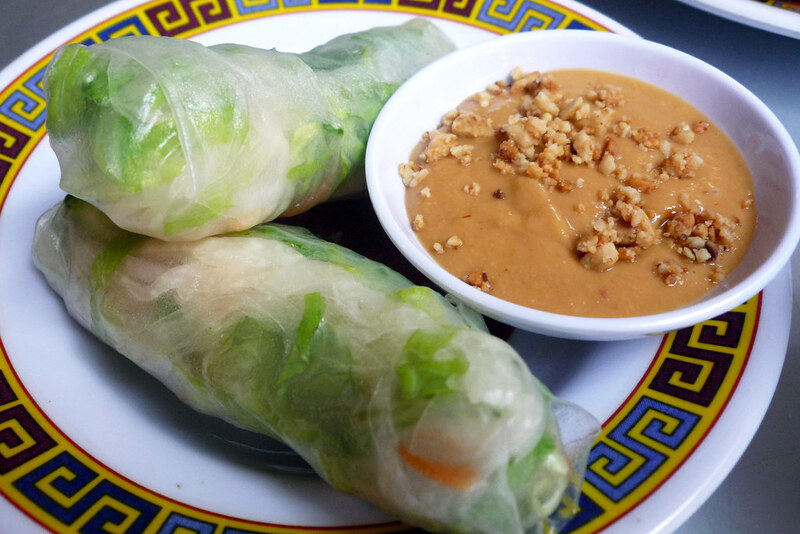 They come smothered in a spicy peanut sauce. They’re not kidding when they say it’s spicy. 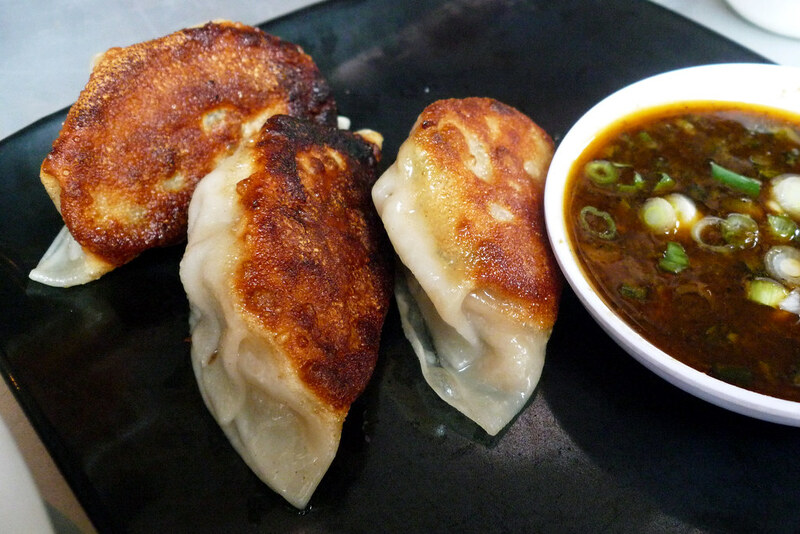 The dumplings here are done the right way – fried to a brown, crunchy finish with enough soft dumpling skin wrapped around a tasty filling. They’re good dumplings but, sadly, aren’t so much better than others I’ve had in New York for much less than the $1 per dumpling they essentially charge for here. If there’s anything they serve here that’s close to traditional dim sum, it’s the crispy spring rolls. Unfortunately, they’re pretty pedestrian in terms of flavor which has to do more with the choice of fillings than anything else. They do get points, however, for their flawless execution though I don’t get why they cut them on the bias, which essentially splayed the rolls out so the fillings partially escaped when lifted from the plate. A greater degree of success could be found in the crispy pork belly stuffed bao. 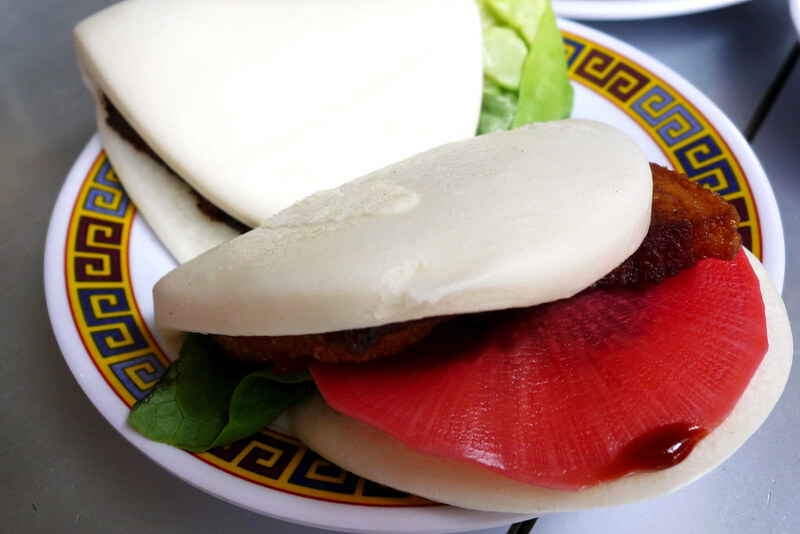 It’s a take on the immensely successful and popular Momofuku pork bao except here it’s a thinner slice of pork belly that’s been fried to a crispy, crunchy finish which, when stuffed between a soft, pillowy bao, provides a nice contrast. 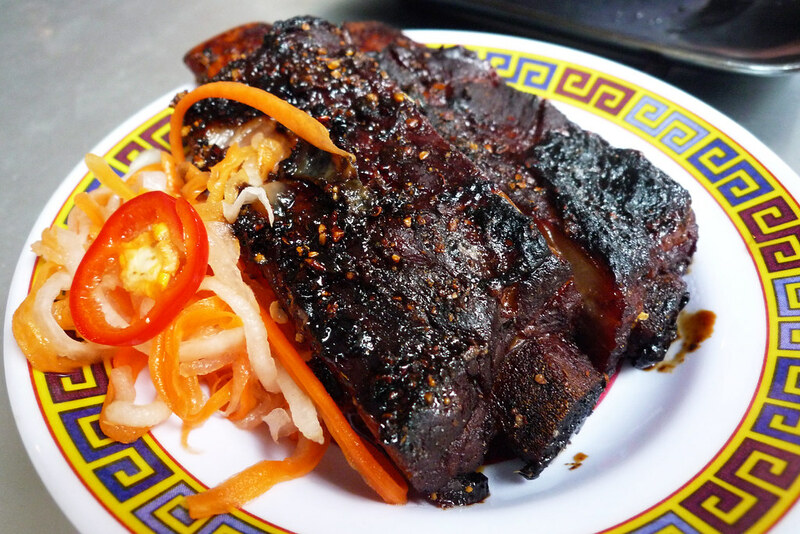 The tea-smoked ribs here are absolutely amazing. The meat falls off the bone and have a slightly smoky, sweet flavor. I just wish there were more ribs to an order. 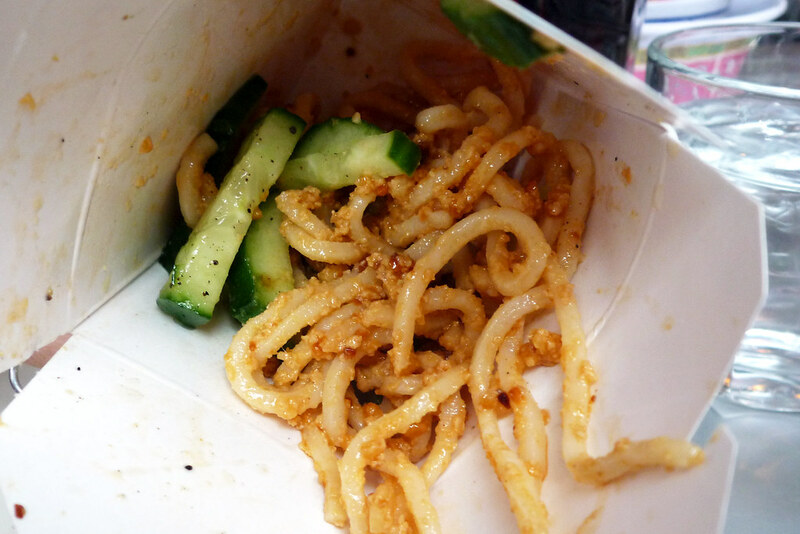 The fried calamari is yet another example of flawless fried execution – crispy but not greasy and well seasoned, to boot. 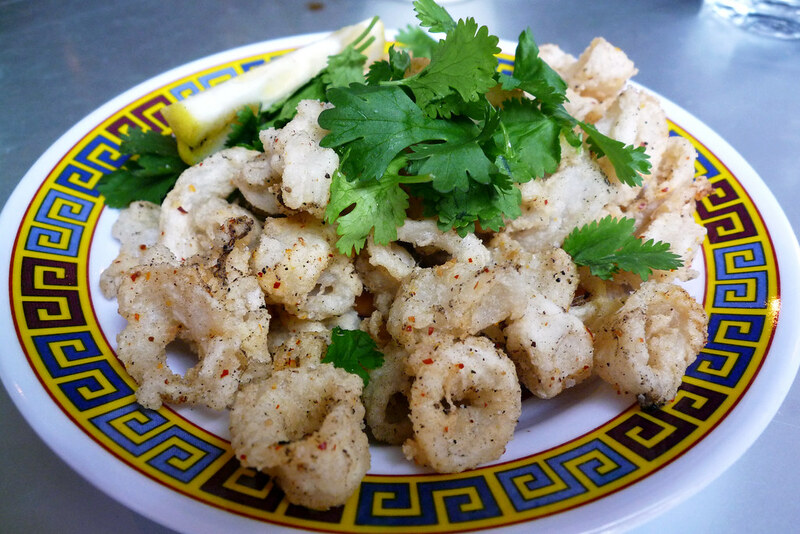 Absent the aioli at the bottom of the plate, the salt and pepper seasoned calamari wouldn’t be out of place at traditional dim sum. So what do I think of Myers + Chang? I know I’ve spent some time outlining how it’s not traditional dim sum and it may seem like a mixed review but I’m gonna say that it’s anything but mixed – it’s an unequivocal high-five for “dim sum” here. Honestly, it wouldn’t satisfy a dim sum fix but that’s more than fine by me. 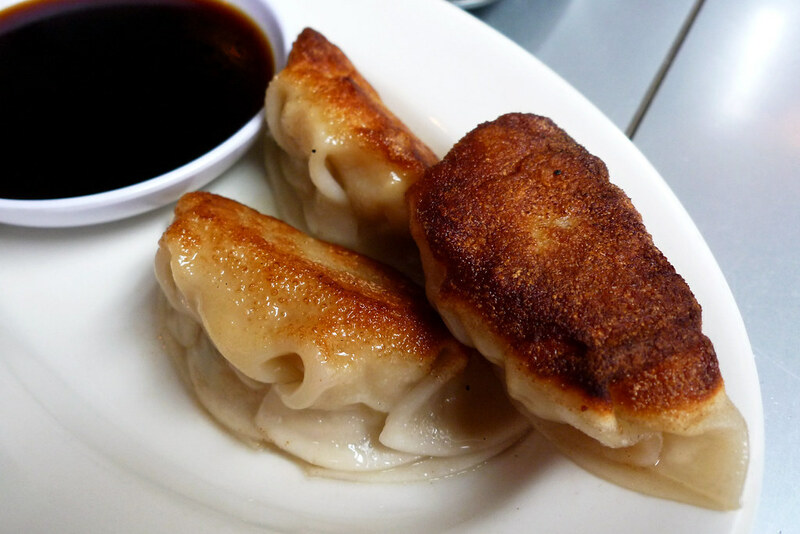 There are enough places in Boston where I can get plain ol’ dim sum. The Joanne Chang version of dim sum aren’t all big hits but they’re all solid and, more importantly, taste good, sometimes great. Myers + Chang. 1145 Washington Street, Boston, MA 02118. [Show/Hide Map] (617) 542-5200. Awesome post + photos! I love Myers & Chang and glad to see you do too! 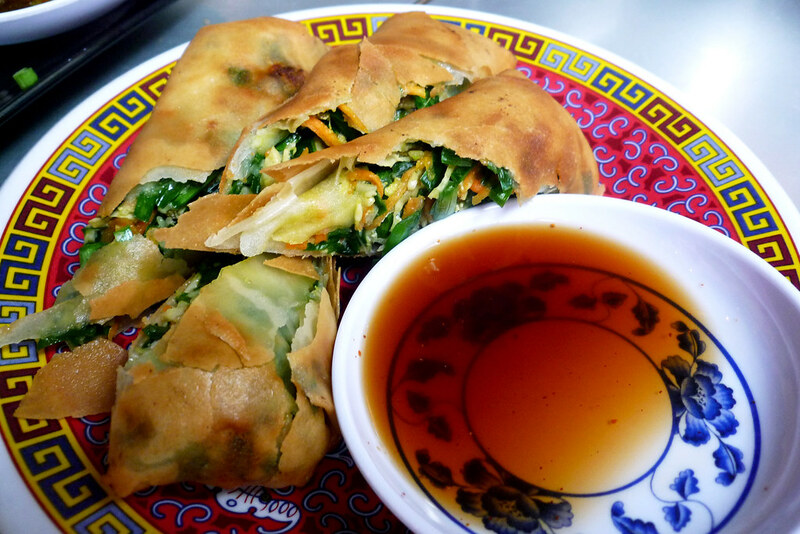 Their scallion pancakes are the best! And everything from Flour Bakery is great too! @Melissa Thanks for the compliment! I’ll be sure to try the scallion pancakes the next time I’m there. So I’m guessing you’re the Boston half of The Foodies at Work?